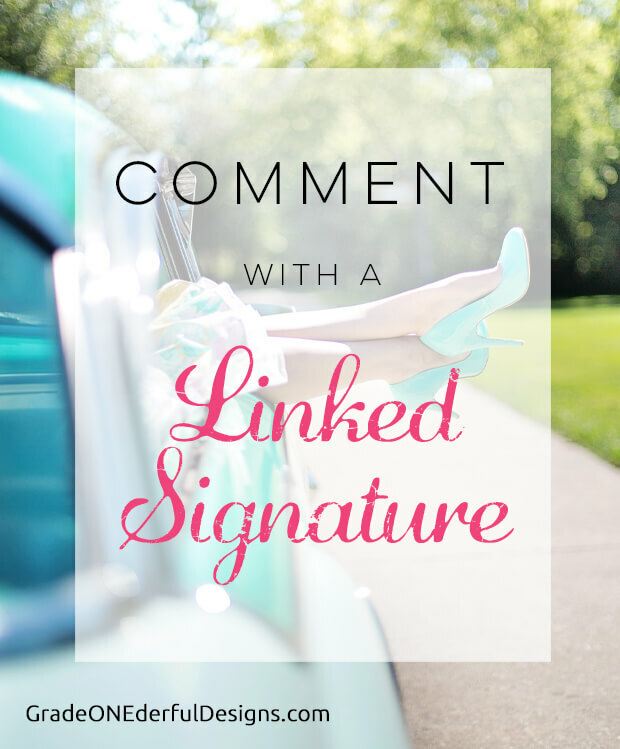 Did you know that adding linked signatures to your comments can help attract more traffic to your blog? If you're trying to increase the number of visitors to your blog (and who isn't?) then it's always a good idea to visit other blogs and leave relevant comments. It lets people know that you're out there and making an effort to engage. For some blog writers, comments like "I love this!" and "Cool!" don't really cut it. Ideally, your comments should be directly related to the blogger's content. But trust me, I won't get on anyone's case about this, because I've been guilty of doing the exact same thing -- a lot, if I'm being perfectly honest. For me, it's all a learning process. And honestly, I'm just glad people are taking the time to visit, so the short snappy comment doesn't bother me at all. Just be aware that other bloggers might not be as forgiving. In addition to commenting, an extra possible traffic boost is to include a direct link to your own blog in your signature. This is also called a hyperlink. WordPress blogs usually give their readers the option to leave a website link. But Blogger doesn't do that, so this tutorial will show you how. I've read that some bloggers consider this to be a little bit spammy, so you'll have to use your own judgement. But honestly, if you're commenting on a Blogger blog, there's often no other way to leave a one-click direct link to your own blog. My personal feeling is that as long as your comment is genuine, relevant, kind and helpful then it's all good. I LOVE it when people leave their blog links, either on my own blogs or on others. Because if I like their comment I'm very likely to click on their signature link and check out THEIR blog. What a great way to find new bloggers! When I leave comments on Blogger blogs, I'll often sign off with "Grade ONEderful". I've given this code to people before and they often tell me it doesn't work. But trust me, it DOES! You just have to be very careful to include all the little bits and pieces of the code. If you leave anything out, it won't work. What do you think of linked signatures? I'd love to hear.